Microsoft began notifying Outlook.com users of a 2019 security breach that occurred between January 1st and March 28th. Hackers were unintentionally given unauthorized access to some accounts, where they were then able to view subject lines, email addresses, and folder names. While no login details—including passwords—were directly accessed as part of this breach, Microsoft did warn users to reset their passwords. Although the hackers could not view the actual content in the bodies of emails nor download attachments, this incident still represents a major—and disturbing—security incident. This breach serves as a reminder to every business to tighten up its security measures and protect its assets. Depending on where in the product the Microsoft breach happened, multi-factor authentication could even have possibly prevented or limited the breach. In general, this authentication process adds a strong layer of security. Hackers don’t usually have both the password and the PIN, secret questions, or other ability to verify their identity. 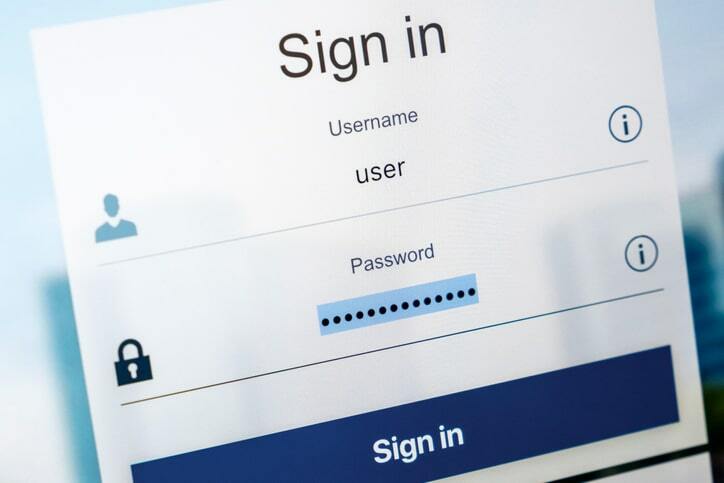 When vetting which type of authentication to implement—if you have this option—consider using the one that is easiest for employees to have on hand, but hardest for others to get a hold of. Trying to make this relatively convenient for your employees will make it easier for them to comply, which will keep your business more secure. Multi-factor authentication is a measure that should go hand-in-hand with training your employees to use strong passwords. Account for all devices—including mobile—in your security processes. Very few companies still limit employee access to business assets strictly to desktops at work. There is a growing trend of employees being able to work remotely, even if it is not full-time. A recent study showed that as many as 70% of employees work remotely at least once a week. Whether working from home, a rented office space, or on-the-road, they are using their devices to log in from a distance, well beyond the secured confines of your office. This figure was accounting for full-time employees; contractors only increase the number of remote workers further. The security processes implemented at your company need to account for all of how workers are accessing company resources. Email access on mobile devices is one of the most common ways in which employees take their work on-the-go, and so it’s a strong starting point for building out these protocols. Because confidential company information is being accessed on these devices via networks over which companies have no control, it is critical that both the email servers as well as the devices being used have robust security systems in place. While new improvements continue to roll out to tackle these issues, solutions that work across all devices are the norm. Security software, as well as encryption tools, can help protect data regardless of the device, particularly when combined with encouraging employees to log-in via secure VPN networks. Cloud options for data storage are offered by providers with a menu of security options; it’s worth walking through your needs and investing in top-quality solutions. With all of the work that goes into developing security processes, even more needs to be carried out to maintain their implementation and ensure that they remain up-to-date with new tech trends and emerging risks. This is a vast and complex undertaking. All existing assets must be brought onto any updated infrastructure. Employees must be set-up for and onboarded to the security procedures, and checkpoints must be established so that their compliance may be monitored. Systems must be monitored for any breaches, as well as smoothly updated across all users and data to accommodate any new vulnerabilities that arose since the previous update. Different components, whether hardware (including different devices, such as mobile) or software, may experience issues with any updates. New members of the internal information technology must be introduced to the systems while existing members must stay abreast of any new developments; even team members working simultaneously on the same project must address potential communications issues. Thorough documentation of processes helps achieve this by providing an objective record of the systems in place. This can be used for onboarding; for internal audits; for evaluating alternatives or potential improvements; and even for reviewing the source of vulnerabilities and providing accountability should an issue arise. This sort of record-keeping is an essential component of transparency in company policy and helps enforce quality control on internal processes. Of course, it must also be protected with the highest measure of security since it arguably contains “the keys to the castle.” Decentralizing its storage and scattering protected, encrypted components of it across multiple storage solutions can help protect company assets from the sort of large-scale breach that could otherwise bring your data assets to their knees. And so, the large-scale Microsoft breach serves as a reminder that active vigilance must always be maintained over internet security, without relying entirely on one single individual, provider, or service. No single entity can be trusted to be entirely safe when major players like Microsoft are clearly vulnerable, despite the teams of brilliant engineers hired to implement safeguards and the millions of dollars invested in diverse preventive measures. Every business needs to be proactive in protecting itself through rigorous internal standards, ranging from staff training through the implementation of mandatory security precautions, to minimize the risk of vulnerabilities being exposed and exploited. 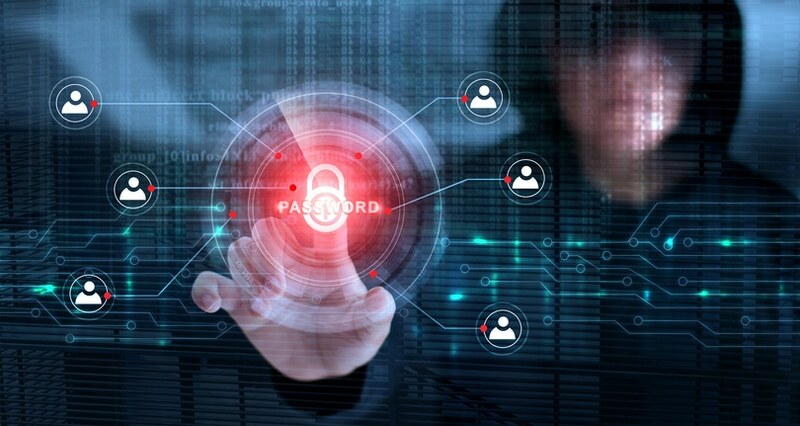 Factoring in every employees’ data paths and employing multiple layers of overlapping security efforts at every step of the way—and documenting these processes for easy internal accountability and refinement—are critical for business informational security in this highly connected digital age. As the digital community continues to expand to include more individuals and more devices, enforcing cybersecurity becomes more complicated. The number of opportunities and vulnerabilities for hackers to leverage is continuously growing; it is imperative for businesses to take proactive measures to protect themselves. With new terms and acronyms constantly emerging to refer to these issues, it’s helpful to make sure you and your team are on the same page with the vocabulary you use. We’ve compiled a list of some of the most common words and phrases surrounding cybersecurity issues. Access control – This is the sequence of steps by which requests to retrieve information are approved or denied. The phrase actually originates from the terminology used to refer to gaining entry to physical facilities. Adware – You see this pop up when you get unwanted advertisements appearing on your screen when you visit certain sites. Adware is highly problematic because it can not only disguise itself as a legitimate site and trick you into clicking buttons that actually trigger the download of software that can track you to collect data on your activities, but it can also add harmful software to your device. Authentication – This refers to the sequence of steps by which the identity of a user or device is verified. Single passwords are the simplest form of authentication. Current best practices are for multi-factor authentication, where multiple different checks are used to verify identity since hackers are less likely to be able to provide various forms of verification. Blacklist – Any collection of users, devices, or other entities that are not permitted access privileges. Bot – An individual device that has been fed programming to act maliciously under the remote control of another administrator. Bug – A functional glitch or imperfection present in a device or piece of code. Certificate – This is virtual confirmation of the identity of a specific entity. This is usually issued by a Certificate Authority (CA) and is something that can be verified. 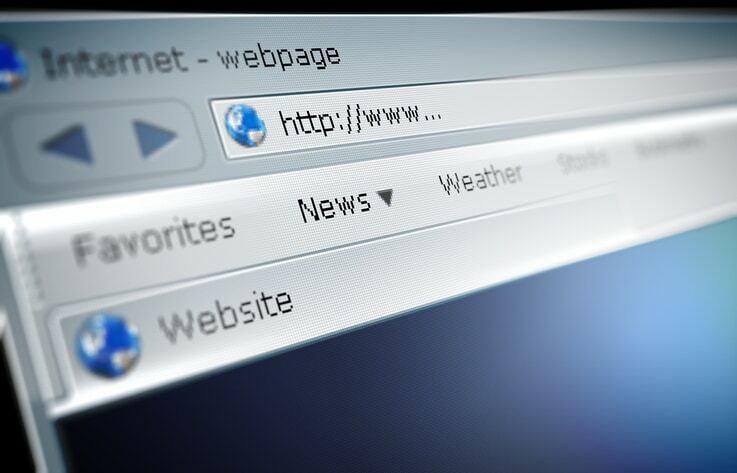 When you visit a secure site, for example, your computer checks the site’s security certificates and in this way determines that the site is secure. 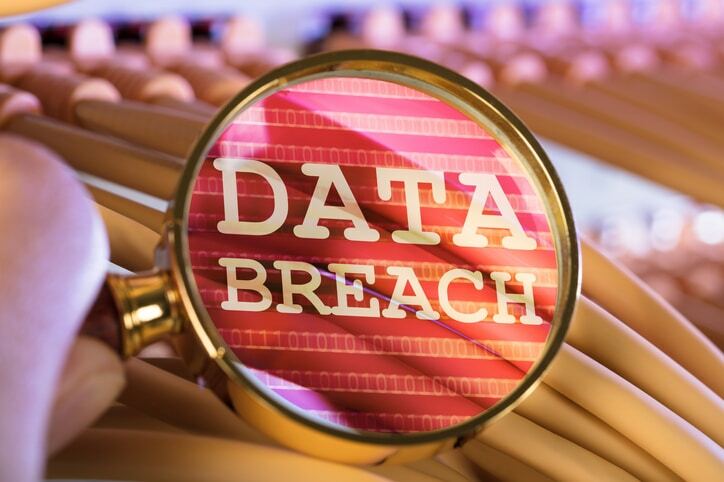 Data breach – Any event where information is shared with an untrustworthy party or opened up to an unsecured environment. Data mining – The analysis of large data sets to identify previously unknown patterns or relationships. Often used towards positive ends, such as in medicine to discover health trends in populations or in academia to characterize social patterns, data mining can also be employed for malicious purposes by hackers. Distributed Denial of Service (DDOS) – This is a form of attack that targets a specific server or network of servers, causing a massive, sudden surge in traffic with the intent of shutting down the servers. One of the most common ways for this to take place is for a hacker to use malware to gain access to several machines connected on the same network; these can then be controlled by the hacker or directs them to flood the network servers. Encryption – This is a process of data conversion that transforms it using a secret code into a sequence that requires deciphering to be able to use; only authorized entities have the means to decode this sequence and access the data contained within. Firewall – This can be constructed using software and/or hardware, but at its core, it sets a specific set of access permissions in place that control who can access a particular network. Secure firewalls offer several layers of protection from hackers and their malware. Honeypot – This is a fake vulnerability that masquerades as a weakened part of your system or network, in an effort to bait a potential hijacker or other threat. It can be used as part of a security plan as a way to monitor whether the system or network is currently a moving target for any threats. Keylogging – This is generally a malicious practice where keyboard input is secretly monitored as a way to keep tabs on a user’s activity. Aside from the violation of personal privacy inherent to this, this is particularly dangerous as it gives hackers access to input personal details such as credit card information and passwords. Malware – This is a broad term that refers to any software that intrudes upon a computer system’s process in an unauthorized manner. Phishing – This refers to the practice of using false communications to deceive people in a way that elicits their sharing of personal information and sensitive details. One typical example of phishing is when scammers send emails pretending to be the Internal Revenue Service or a bank, and scaring recipients into believing they are in trouble and need to resolve a conflict. This resolution always requires the user to share details so that they may be identified. Ransomware – This is a form of malware that cannot be removed until payment of a ransom is received by the malicious instigator. The most common avenues for spreading ransomware include infected websites as well as phishing. Spoofing – This refers to any method by which a user is conned. Successful spoofing is what leads users into sharing their details with the malicious party. For example, the impersonation involved with many phishing scams is an example of spoofing. Spyware – This is malware that is secretly placed onto a system and monitors the user’s activities. Threat – This is an imminent risk to exploit known or unknown opportunities for malicious individuals or organizations to infiltrate a system or network. Virus – A piece of programming code that can secretly enter a computer, replicate, and then be transmitted to other computers. Vulnerability – This is any potential opportunity for malicious individuals or organizations to infiltrate a system or network. Threats exploit vulnerabilities; and so, it might be a flaw in design or a gap in security protocols. Whitelist – The opposite of a blacklist, this is a list of exclusions to a particular security rule, generated because the members of the list are known to be trustworthy. Strong internet security teams are continually assessing the risks of their systems to prevent emerging vulnerabilities and consistently triage the highest risks associated with their systems and networks. The field of cybersecurity is continuously evolving as hackers riff off of existing malware and continually discover new vulnerabilities to exploit. As technology continues to evolve and become capable of achieving new things, each advance also opens the door for new malicious acts and further sophistication in security breaches. It is the job of cybersecurity teams to always remain one step ahead and build their information systems in a way that prevents hackers from successfully infiltrating in any way. If the thought of letting go of crucial parts of your business gives you the hives, it’s time to get real about outsourcing. It’s practically impossible for one individual or even a small group of people to adequately perform every function of a business. Even if you were able to hire specialists for each stage of your work — technology, accounting, payroll, human resources — would you really have enough work to keep a full-time asset occupied? Chances are, you need support in a way that would make a full-time hire the wrong decision for your business. You would either be hiring an extremely ineffective (yet low cost!) staff member who will be a drain on resources, or you struggle to perform multiple roles yourself. This leaves you with no time to focus and a poor experience for your customers. Fortunately, there’s a better way: outsourcing. Outsourcing parts of your business doesn’t carry any sort of stigma and it doesn’t mean that you’ve failed as a business owner. What it means is that you’re being strategic with your time and determining where you are personally adding the most value to the business. 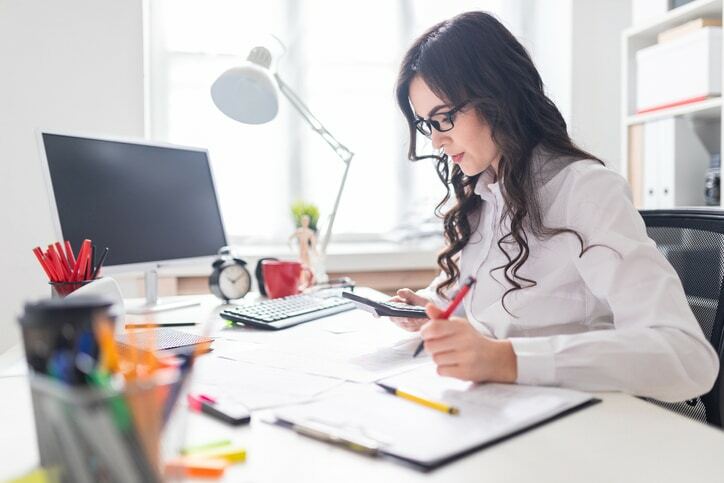 Perhaps you need to know that your accounting and payroll are perking along in the background, but don’t have the expertise yourself to stay on top of the latest changes in legislation, compliance and tax law. This is an ideal situation for outsourcing to a trusted partner whose job it is to maintain compliance for your business. You’re effectively offloading that risk and stress from yourself or your staff to another organization, so you can focus on your core competencies as a business. There’s something that makes every business unique, and that special sauce is the one thing that you don’t want to outsource. Everything else should be fair game for consideration, especially your technology and telecommunications infrastructure. The highly complex tasks associated with these operations can be expensive to hire outright, and difficult to find the right person for your needs. As your operations change over time, you may discover that you take your business in a different direction. This often means shifting staff members or expensive retraining for current staff. When you work with a managed IT services provider, you’re able to be much more nimble with technology changes and can expand your operations in a much more fluid manner. Understanding when to outsource and when to maintain specific operations within your business can take time. Starting with a highly complex operation such as technology may give you the confidence that you need to outsource additional work so you’re able to focus on the core needs of your business — and to leverage your expertise towards exponential growth. Microsoft’s first version of the Edge browser fell far behind other options, gaining only a 4.4 percent market share compared to Chrome’s 65.5 percent, Internet Explorer’s 9.83 percent, and Firefox’s 9.62 percent. The company went back to the drawing board and created a new Edge that is based on the Chromium engine. Here are a few of the highlights that this new browser has to offer. The original Microsoft Edge, based on EdgeHTML technology, ran into occasional problems with rendering HTML 5 elements. The new version has comparable compatibility to Google Chrome. Even in this early stage, most websites were rendered without any significant problems. The dockable pane is getting booted in favor of cascading menus. The options aren’t changing a lot, but the navigation feels more intuitive with this update. One sticking point that some people have with Google Chrome is that the company collects a wide range of information about online activities from its users. You can use the latest version of Microsoft Edge to reduce the data that Google collects. Only the time you spend using Google properties such as Gmail get tracked, but your activity outside of that would not go to the search engine giant. Microsoft Edge Insider Add-on selection has always paled compared to Chrome’s, but that’s not going to be a problem anymore. The new browser makes it straightforward to add Chrome apps, which is a huge upgrade to the user experience. Instead of only having 120 extensions to choose from, you have access to more than one hundred thousand. The Add to Chrome button will also work with Edge. This feature isn’t in the new Edge yet, but you’ll eventually have all of your open tabs synced between your devices that have Edge open. It promotes seamlessly going back and forth between desktops, laptops and mobile devices. This browser is currently under development so hasn’t reached the shippable stage yet. Microsoft will add more of the user-friendly features as the browser progresses. The early release performs well and comes in a daily and weekly updated version. It has a surprising amount of polish for software that’s relatively early in its development process. You can access the browser through the Microsoft Edge Insider program. Microsoft promoted Bing as the default, and only, search engine for Edge. The Chromium version is adding Google, DuckDuckGo and Yahoo to the roster. This is a welcome change, as having to go directly to the other search engines to use them made the user experience feel clunky. Microsoft is taking a lot of steps in the right direction with the Edge Chromium version. It addresses many common complaints about Edge, and the disconnection from Google services limits the amount of data being collected. Following its development and seeing whether it can improve its foothold in the browser market will be exciting to watch. No technology is perfect. Despite what you may be told through various forms of marketing, any given tech, whether it’s a smartphone, PC, or a cloud platform like Microsoft Office 365, has its share of pros and cons. When it comes to choosing one for your business, you should know what you’re dealing with. Microsoft’s reputation proceeds them, right? This is usually the part where we’d write something to talk about Microsoft, what they do, why they’re the right choice for businesses like yours, etc. But is that really necessary? Who working in the business world today hasn’t heard of Microsoft? Even more important to consider – should you just assume Microsoft’s solutions are the right choice for you, just because they’re a household name? When it comes to investing in technology for your business, you shouldn’t take anything for granted. In a nutshell, Microsoft Office 365 takes the Microsoft programs that are popular worldwide like Word, Outlook, PowerPoint, and Excel, and combines them with the flexibility and accessibility of the cloud. There are two basic ways that this platform breaks down – the web-based and premium desktop versions. Challenge #1: Understanding the many plans (and which one to consider). Microsoft offers a lot of different service plans, that vary in cost and included services, and even the type of included services. They even have tiers of Microsoft Office 365 that are designed specifically for certain industries (such as Microsoft Office 365 Nonprofit). Let’s clear things up – below are some of the most common plan types for Microsoft Office 365, how they differ, and what they include. What does Microsoft Office 365 Cost? For each plan, these prices refer to a per-user basis, per month, with an annual commitment. To figure out what it would cost you, simply count the number of users you need to add from your business, and you’ve got your monthly cost – that’s easy to compare against your IT budget. Challenge #2: Migrating to Microsoft Office 365 consequence-free. Now that you know more about Microsoft Office 365, you may be interested in seeing what it can do for your business firsthand. If you’re not already using Microsoft Office 365, then you have to figure out how to migrate to it. Migrating from one business technology to another isn’t necessarily a simple process. When preparing for your migration to Office 365, it’s important to plan efficiently and thoroughly. Also, before starting the technical process, make sure your entire staff understands what migration means for their work. What kind of downtime will they encounter, what are the benefits they will have access to once it’s complete, etc. Keeping careful track of how many users you have and what they need to do will make migration much smoother than it would be otherwise. The last thing you want to do is overlook a user here or there and find they can’t access the system after launch because there weren’t enough licenses or log-ins arranged. While you sort out the details of your new Microsoft Office 365 environment, it’s smart to work with temporary passwords. That way, it’s easy to test the environment without issuing official credentials and log-in info. This is especially important for Microsoft Office 365 migrations – why? Because email is a central facet of Office 365. In order to ensure seamless changeover between your previous email client and Microsoft Outlook, you’ll need complete information on your domain registrar. That’s not to mention that the migration process can vary based on where you’re coming from. For example, say you’re already using SharePoint – then what does the migration to the full Microsoft Office 365 suite look like? To do so, you take the files using the Explorer View in SharePoint and move them manually to the new destination. Unfortunately, by the very nature of this process, you lose metadata (including the “Created by” and the “Created date”). This solution assists migration processes by increasing speed using the cloud services platform, Microsoft Azure. This works by exporting your content into a migration package which is then sent to Azure Storage. Azure then takes that package and puts it into your new Microsoft Office 365 environment, according to your package settings. Challenge #3: Staying secure with Microsoft Office 365. While Microsoft Office 365 does provide a range of industry-standard security features out of the box, it’s not infallible, especially when it comes to backup. As a cloud-based platform, all of the data accessed in Office 365 is backed up to a secure off-site location. This occurs simply by the nature of a cloud solution like Office 365. That being said, Microsoft’s first priority when it comes to management is most certainly the Office 365 infrastructure as well as maintenance of uptime on the user end. This is about exploring the user’s role in data management. The reality, whether it’s actually convenient or not, is that Microsoft has empowered the user in this case to take responsibility for their data. Beyond the usual data loss and integrity protections that are provided as a part of Microsoft Office 365, users may need to double check the controls and other parameters involved with protecting their data. While almost anyone using a computer for work would understand the nature of why backing up your data is important (don’t forget that hard copies are often still filed in triplicate as a contingency), it’s likely you don’t know of each and every application that an effective data backup can have. At the rate that technology evolves (and how quickly your business’s standard operations and concerned policies are required to keep up with it), it’s no surprise that some businesses find it difficult to keep up with. When policy development falls behind the pace of adopted technologies, it can often lead to gaps, which can affect data retention. The fact is that Microsoft Office 365 only has limited backup and retention policies, equipped to handle situational data loss – not comprehensive. Data loss is often the result of poor digital security; without the right defenses, cybercriminals can easily infect an IT system with ransomware or other types of malware and compromise company data. You may have heard that the right antimalware solution will minimize the chance of data loss, but what about internal threats? It’s not fun to think about, but internal security threats (i.e. malicious employees) can cause just as much damage as external cybercriminals. 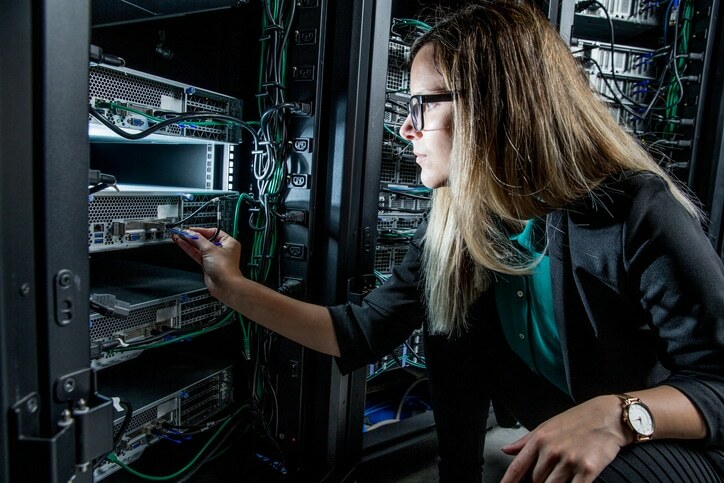 A majority of cybersecurity services offered today include the best in vital technologies, from firewalls to anti-malware to data encryption and more. However, as important as this technology is, on its own, it simply isn’t enough. The key to truly comprehensive cybersecurity (and therefore, data protection and data backup) is simple, yet often overlooked: the user. “Set it and forget it” firewalls, antivirus software, and yes, backups, fail to account for how important the user is. Even the most effective data integrity measures can be negated by simple human error, which is why conventional solutions are simply not enough to make sure your data is protected. Much of data protection is dependent on the user, and as such it’s vital that you properly educate your employees in safe conduct. The more your workforce knows about the security measures you have in place, the more confidently they can use the technology is a secure manner. Human error can be detrimental to data integrity. Without a viable backup, all it takes is one accidental click to delete a file, or one spilled coffee to fry a local hard drive. When it comes to modern compliance requirements, redundant data backups are critical. You’ll want to make sure you know what’s required of your industry’s compliance regulations, and make sure you have backup methods in place to meet those. The default backup capabilities offered by Microsoft Office 365 may not suffice for the most stringent regulations. When migrating to Microsoft Office 365, it’s likely that you’ll need a timeframe in which to transition, especially when it comes to bridging the gap between on-premises Exchange Servers and Office 365 Exchange Online. A vital part of this transition is to make sure that you have a backup solution capable of facilitating hybrid email deployments and can see Exchange data (no matter where it’s located, on or off-site) as the same. Long story short: as much as Microsoft Office 365 does offer, nothing is really “set it and forget it” when it comes to security and data loss prevention. No matter what cloud platform you choose for your business, you shouldn’t assume it will keep you protected against cybercrime and data loss all on its own. Is it possible to overcome these challenges? While you can certainly try to manage the migration and ongoing management of Microsoft Office 365 on your own, there is a much more foolproof way to tackle it – with professional assistance. In order to eliminate unforeseen variables and limit your risk in the migration and ongoing management of a solution like Microsoft Office 365, it can be helpful to work with a Wyoming IT company. How can a Wyoming IT company help you overcome these Microsoft Office 365 challenges? A Wyoming IT company can assess the ways you currently use your IT, and how you may need to use it in the future as your business grows, and then match those needs to the right Microsoft Office 365 plan. How can you guarantee a smooth migration to Office 365? By working with a Wyoming IT company that you trust, you can simply have them facilitate your migration process. Again, by relying on the experience that an established IT partner can offer, you won’t have to deal with the work that comes with migration. How can you enhance the Office 365 security and backup capabilities? The best way to deal with the potential security and data backup gaps in Microsoft Office 365 is to supplement it with a reliable cybersecurity or backup solution – the kind that a Wyoming IT company can recommend. Depending on what you do for business, how large your organization is, what your budget will allow, and a number of other factors, Microsoft Office 365 may not be the right choice. However, if you’re unsure, then it would be wise to get a second opinion from a Wyoming IT company that can evaluate your IT needs and figure out if Microsoft Office 365 can meet them. The ability to work anywhere used to be limited to freelancers and writers, but today’s professionals need the flexibility to be productive regardless of their physical location. Microsoft Office 365 provides the full-featured suite of services that businesses need to scale quickly and focus on core growth. 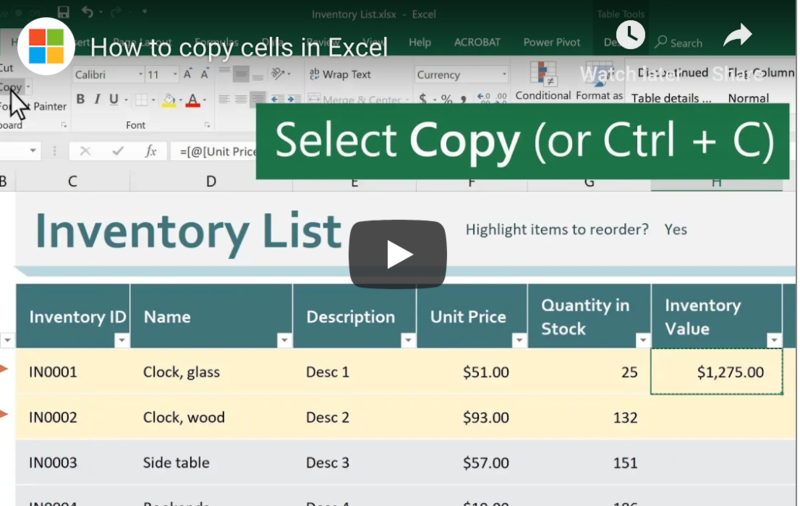 While Office 365 may call to mind basic programs such as Word, Excel, PowerPoint and Outlook, there are far more software apps available that allow you to create custom solutions by department and quickly add or reduce your licenses as needed. See why Microsoft Office 365 is the choice of millions of businesses throughout the world. Designed to help you grow your business, Microsoft Office 365 provides your teams with simple collaboration internally as well as with customer and external vendor partners. This is ideal for organizations with multiple locations that need the ability to share calendars or documents in real time. Chat functionality is built in, as well as version control that works across mobile and desktop applications. What’s better — users are able to install the apps on up to five devices, making it easy to always stay in sync. Each application is fully managed and supported by Microsoft, with 24/7 phone and online support as well as their uptime guarantee of 99.9 percent so your software is always available for use by your team. 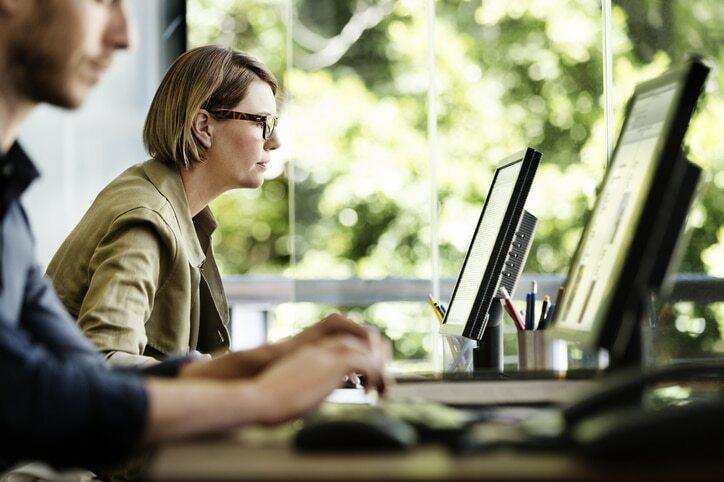 Your time is important, which is why Microsoft has created this integrated approach to business productivity and operations. From chatting with remote staff members to collaborating across devices with customers in other parts of the country, you’ll find all the key services that you need to build your business without the overhead of internally managing the licenses or support. From mileage tracking and protection against unauthorized access to your company’s confidential information, Microsoft Office 365 has you covered. When you’re able to focus on the key tasks associated with business growth and are spending less time on administrative background work, you may be surprised at the high level of value you are able to deliver back to your company on a weekly basis.